By forensic scientists. For forensic scientists. Laboratory Lean Six Sigma is a process improvement methodology that delivered such dramatic changes to our own laboratory’s performance that now we provide our proprietary training courses to labs around the world. As a forensic industry leader we provide fully-collaborative and accredited chemistry and automation validation services as well as technical training classes for all sizes and types of crime laboratories. Solve crimes faster, identify contamination, store, search, and match millions of DNA profiles quickly and securely with LEAD (Local Entry Access DNA) database software. Laboratory Lean Six Sigma is a structured approach to process improvement adapted from the manufacturing industry and applied to the forensic laboratory. By utilizing data, your process experts’ knowledge, and LSS concepts and tools, we address areas with bottlenecks and high rework rates to improve quality, capacity, and productivity. Sorenson Forensics is a Lean Six Sigma laboratory, and the impact it has made on our operations is a testament to this program’s effectiveness. Whether you are interested in a full Lean Six Sigma process improvement project, in upgrading your certification, or are looking for post-project support, we have a variety of options to meet your needs. Led by certified Black/Green Belt practitioners with a background in forensics, your team will perform a deep dive into your laboratory processes and develop solutions to meet the specific goals of your lab. Click here to learn more. In the process of participating in a process improvement project, select team members can opt for Lean Six Sigma Green Belt certification. Click here to read more. If the full Lean Six Sigma program isn’t the optimal choice for your lab due to time, scope, or budget restrictions, we offer a shorter program that focuses on implementing the principles of Lean in your operations; namely, reducing waste, improving flow, and delivering results in a timely manner. Click here to read more. What’s next? After your project is completed, on-site and/or remote follow-up consulting services are available to support your continuous improvement journey. Click here to read more. Have confidence that your methods are robust, reliable and reproducible. Sorenson Forensics provides both chemistry and automation validation services for all types of DNA labs, especially those specializing in forensics. 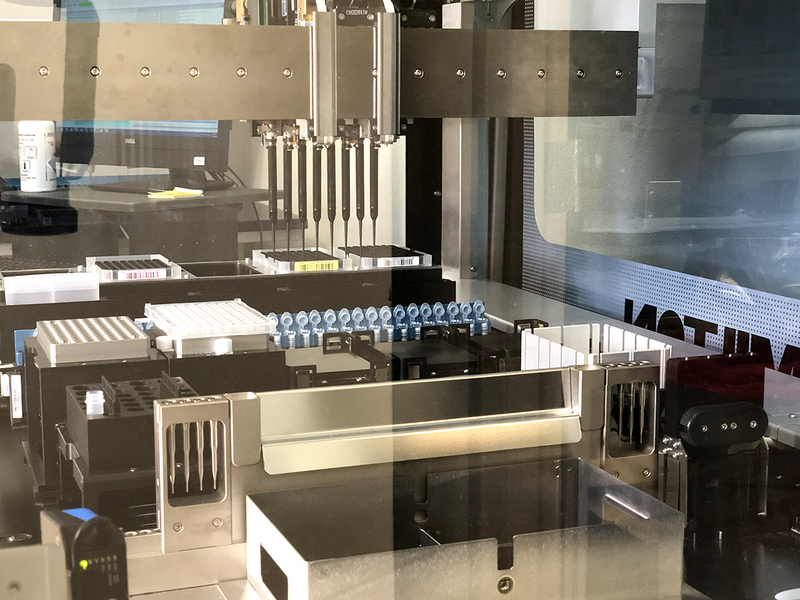 Our DNA laboratory validation services include the validation of forensic serology, DNA extraction, quantification, and amplification procedures (STRs, mini-STR, and Y-STR), as well as instrumentation, robotics and process-flow efficiencies. Our validation scientists are experienced in validating local, state, and federal public crime labs of all sizes and flexibly work with each lab to service their unique needs. Independent and impartial validation of DNA testing procedures for all commercially-available extraction, quantification, and amplification kits on most any data collection equipment platform. Validation of all the most common robotic platforms through script-writing, performance check-testing, troubleshooting, and optimization. Click here to learn more. We offer an array of training services for lab technicians, analysts, and for fulfilling continuing education credits. Click here to read more. Our experience as a forensic DNA testing laboratory combined with proven validation expertise makes us uniquely qualified to assist domestic and international agencies and organizations in building forensic DNA labs from the ground up. Click here to read more. The LEAD Database system was built specifically for the forensics industry. Database installation is configured for each client according to their unique needs. Create and maintain local DNA-profile databases using a highly-secure online system. LEAD software provides a central system that allows users to easily upload and store DNA sample information and quickly search and compare genetic profiles in the database. LEAD software provides a system that allows users to easily upload and store DNA sample information for the purpose of comparison. With LEAD you can quickly search and compare genetic profiles within the database by authorized users via a secure network. Click here to learn more.